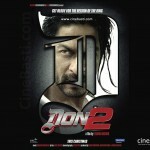 Here on this page, we have tried to collect and present latest stills, shots, images, wallpapers, pics of the first look of Don 2 . These pictures indeed represent the tough look of Shahrukh khan in the movie and sets craving pitch in our heart to watch don 2 as soon as possible but the soon is not near as the film is set to release later this year around christmas. Sharuk u look realy stuning..
sharukh you are really don of bollywoods. SRK ke liye yeh koi badi baat nahi hai doston, unke liye to Raj se lekar Don tak ka safar chutkiyo ka khel tha. Becoz he is the greatest superstar in the world. Ab dekhna, kaise Salman ki pant geeli hoti hai. sharukh ……………….you are the right DON. i live in Armenia, but im a fan of indian films. especially i love SRK and his acting. i greatly appreciate SRK’s talent. 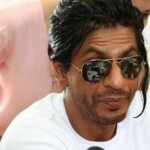 looking forward for Don2.! all the best to everyone in ur job the result of which is expected from a lot of ppl! I m yor fan SRK. I never miss yor film. U r so talented actor, i like u.